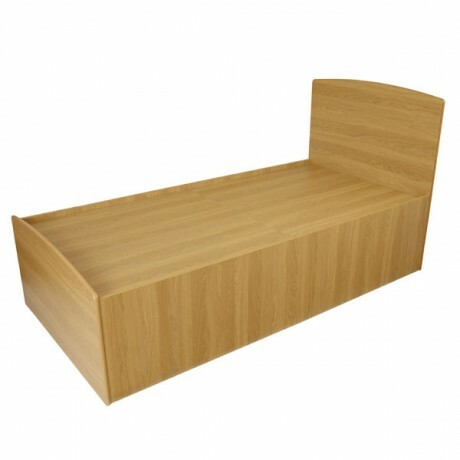 Well-Tuff® Bedroom Range is designed to meet the demands of the most challenging behaviour while helping to encourage a safe and supportive environment. 18mm thick backs, which allow them to be fixed against a wall easily and securely without extra brackets or ties. Cut-out handles and soft rounded corners on the tops of all units. * 270 Degree hinges have all of the advantages of a standard strip hinge but they allow the door to be opened back 270 degrees and fold flat against the wardrobe end, which greatly increased the resistance to abuse. 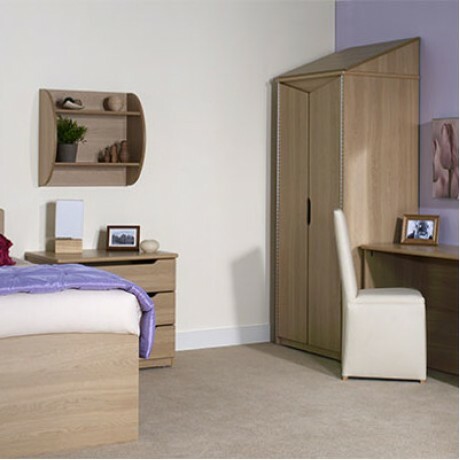 The hinge is fixed to the door using anti-tamper screws which are fastened into the edge and face of the wardrobe end. It is easy to find the right items to create that homely environment that is so important to the well-being and rehabilitation needs of those being cared for.